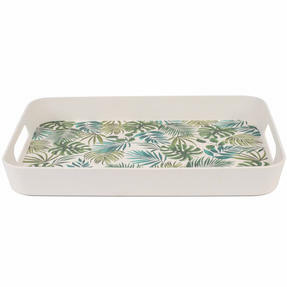 Bring some island cool to your parties with this vibrant rectangular tray from Cambridge, which features an exotic Polynesian print. The durable yet lightweight tray is made from bamboo with an exceptional strength-to-weight ratio and natural resilience, making it a superb alternative to plastic. With easy-grip handles, it is generously sized and offers plenty of space for meals and drinks. 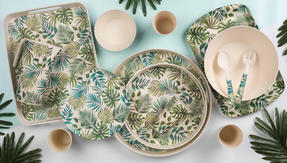 Stylish yet practical, the set provides a great eco-friendly option without compromising on quality. 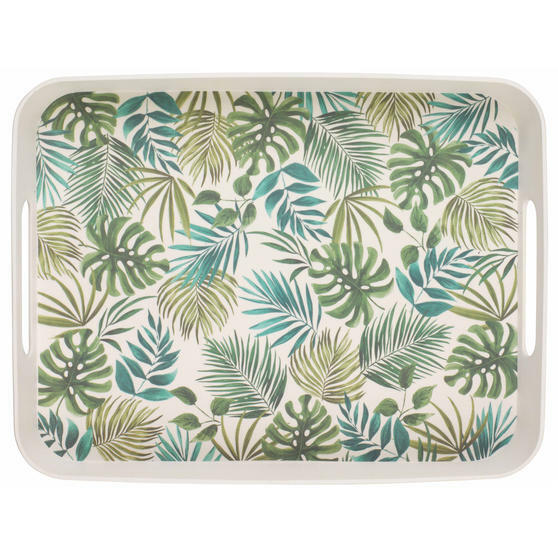 Made from renewable natural bamboo, this wonderful family-sized tray from Cambridge is an eco-friendly alternative to using plastic. A generously sized 40.7 cm x 30.8 cm x 4.9 cm, this eye-catching tray is ideal for serving drinks or food to your guests at parties. 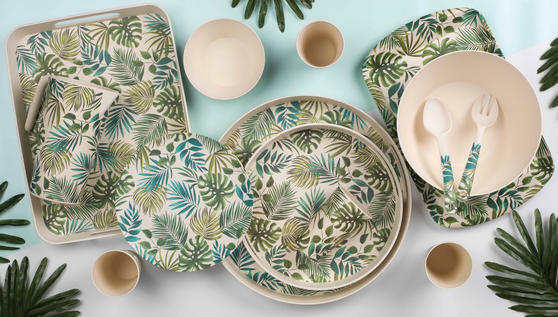 It is fully dishwasher safe, so you can simply pop it in the dishwasher with your cups, plates and cutlery after use for easy cleaning. The tray features a beautiful Polynesian island-inspired leaf pattern, which is sure to bring a touch of exotic colour to your home.